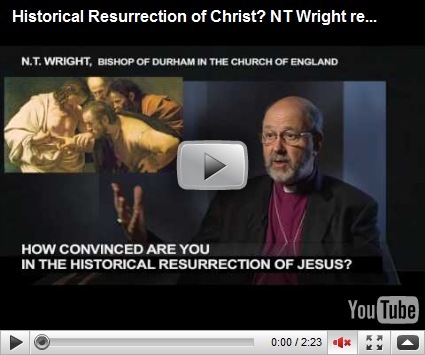 APOLOGETICA » Blog Archive » -Resurrection of Christ: Wright On! -Resurrection of Christ: Wright On! 6 Responses to -Resurrection of Christ: Wright On! Excellent video clip from NT Wright. I found it interesting that he mentioned that there were a “dozen or so” messianic movements other than Jesus, which considering these other movements/messiahs are not known, this in turn gives more credibility to what the gospels say about Jesus. Yes, all the failed Jewish messiahs give even greater credence to Jesus.